Click to download/see this map as an A4 PDF. 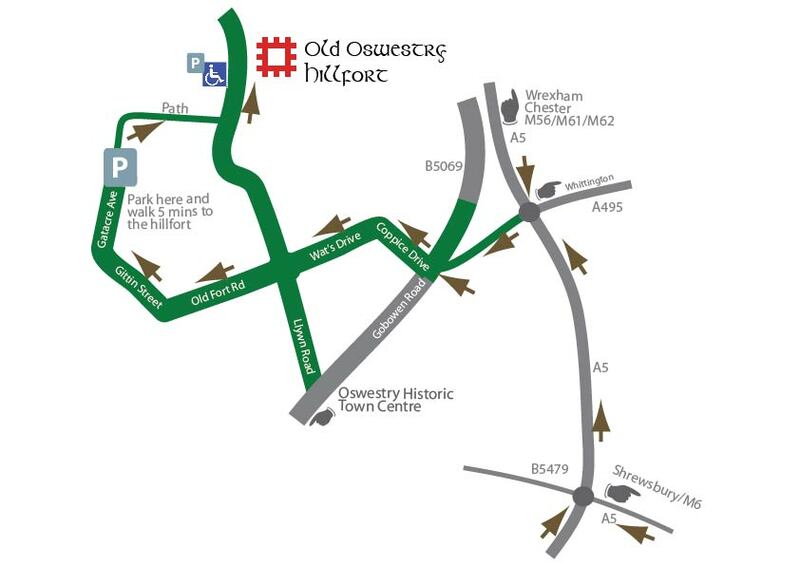 SATNAV: SY11 1DR will take you to Gatacre Car Park – 5 mins walk from the hillfort. * Follow M54 until it becomes the A5. * Follow the A5 through Shrewsbury. * Continue on the A5 till you reach Mile End Roundabout A5 /A483. * Follow the ARROWS. * Follow signs for town parking.